Are you having trouble with your air-conditioning and heating unit not performing properly or even at all? Do you wait until the last minute or maybe even wait for a major breakdown to happen before you finally fix the problems? During the summer months of Florida, that could be an extremely uncomfortable problem to deal with. 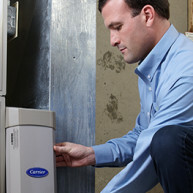 It might be time to consider AC Maintenance on your unit. And lets face it, there’s no convenient time for your AC unit to break, and often times it comes at most inopportune times. That “hands-off approach” to your air conditioning’s upkeep has the potential to turn into a much more expensive issue than it needs to be. When you perform no maintenance on your air conditioning unit, you run you the risk of your air conditioning system faltering when it could have been prevented. Try to compare your air conditioning unit to any kind of mechanical equipment. It needs consistent maintenance and the appropriate care it requires. In order to make your air conditioning system as affordable as possible, there are a few minor precautionary steps that you can take in order for you to save you the most amount of time and money. The most crucial step that you can take to keep your air conditioning costs under control is to frequently have a professional come to check on your AC unit. These types of preventative maintenance measures save you money by lowering the energy consumption you use. What is preventative maintenance exactly? Put simply, it is a routine checkup with one of our trained technicians. Your technician will visit your home and perform a full inspection, cleaning, and tune-up to ensure your system is functioning as efficiently as possible. Even better, through our Platinum Savings Agreements, you get additional benefits. Learn more about routine preventative maintenance and our Platinum Savings Agreement below. Lower Operating Costs: When your air conditioning system is running efficiently, it doesn’t have to use an excessive amount of energy to provide ample cooling power. This means lower operating costs for you. Reduce Repair Bills: Preventative maintenance catches small issues with your system before they turn into big ones. Big AC repairs can come with lofty prices and can leave your home without air conditioning for days. Preventative maintenance provides a smart solution. Increased System Lifespan: The average air conditioning system has a lifespan of 10 to 15 years if properly maintained. However, forgoing routine preventative maintenance can seriously shorten this timeframe. Our Platinum Savings Agreement help you get the most out of your investment. One of the most important reasons why it is important to keep your air conditioning unit clean and up to date is a concern that many overlook: health. Poorly maintained air conditioning units have been proven to be tied too many different health risks, which can easily be prevented by proper upkeep of your AC system. Need even more reasons for air conditioning maintenance in your home? Join Our Maintenance Program Today and Save! Don’t get caught with an air conditioner repair that could have been prevented. When you sign up for our Platinum Savings Agreements, you’re investing in the comfort of your own home. Still have questions? Give a call today to speak with one of our friendly team members or schedule your appointment online. Eggert Cooling and Heating is available in Orlando, Apopka, Clermont, Maitland, Windermere, and nearby communities. Aside from AC maintenance, we also offer AC and heating installation, AC service and repair Orlando, and more. Call us at 407-252-3785 to set an appointment with our team and to get a free estimate!